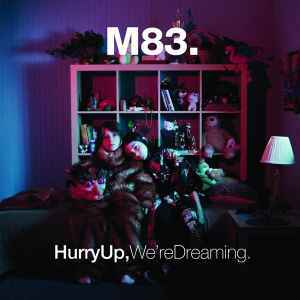 M83 ‎– Hurry Up, We're Dreaming. I got this the other day at Amoeba for under $30. This may have been re-issued/pressed. Such a fantastic album and a great pressing. It's a shame these guys split so early on, they showed so much promise and not into their new stuff as much, very much went back to their french roots after the change. Poor pressing. Bought this brand new from the record store and was surprised to hear how poor the sound quality was. There was distortion/crackling on some of the tracks (mainly when there were lots of instruments in play). Also a fair amount of skipping on side B - buyer beware. The quality of the songs you receive with the download card is terrible, most songs peak at ~15khz. Record is great though. Has anyone done a comparison between the Mute (US) and Naïve (Europe) pressing? I played my copy today and it was clean, but more importantly, this is the definitive version of this album, the sound is so full. Does this copy sound better than the standard LP? I just got the regular pressing and the white noise is almost unbearable. Clean copy for me. Good sound ! that s ok . I don't have an issue with the crackling, but Side A is slipping on the first play on Midnight City. Anyone else have this issue? Seems like those faulty pressings are still kicking around. Just bought a copy from local records store in NL and unfortunately Wait is not really enjoyable to listen.